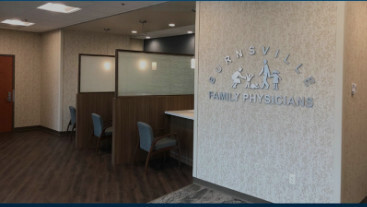 Burnsville Family Physicians is a group of providers who are board certified in family practice, proudly serving Burnsville, Minnesota and the surrounding communities. The providers and staff of Burnsville Family Physicians are dedicated to excellence in health care. We pride ourselves in providing our patients with efficient, high quality service. We respect our patients, and understand that they are the reason for our existence, and therefore, are our primary concern. We're committed to excellence and professionalism. We work together as a team to make our patients feel cared for, and listened to. If you wish to make an online payment, please use the online bill pay functionality on the Twin Cities Orthopedics website. Choose the bill pay option at the top of the page. We're moving! We will start seeing patients at our new location on April 29, 2019. 1000 W 140th Street, Suite 100, Burnsville, MN 55337. We will be located in the Twin Cities Orthopedics building on the southeast corner of Burnhaven Drive and McAndrews Road. Our telephone numbers will remain the same. Thank you for choosing Burnsville Family Physicians for your healthcare. and listening to your concerns.